China is expected to spend over a trillion yuan on coffee by 2025, as the country's consumption of the caffeinated beverage expands by 15 percent every year, much higher than the global average of 2 percent. To compete for a share in the growing market, global coffee shop chains are accelerating their business construction in China, especially within lower-tier cities. However, compared with their overseas peers, local coffee shops are not becoming as successful, despite the growing market potential. 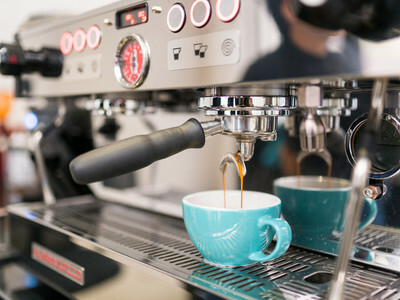 The growing consumer demand for coffee is not equal to a merely increased number of coffee shops, as coffee addicts like making coffee at home, while those who rush into chain coffee shops before work usually only buy one drink. Nowadays in China, the rapid emergence of online coffee ordering platforms is attracting enormous attention from both media and investors, though the industry is still concerned about the high capital consumption of this business model, as seen in the bike-sharing sector. Coffee shops are shifting to a place for social interaction in China, as younger generations today value their time and health. Thanks to the popularity of coffee, they can expand their social network in a local cafe, rather than swimming in liquor. China's coffee craze has also promoted sales of related products, such as coffee beans and coffee sets. Cultural and innovative products related to the coffee industry also took a large share of the market, such as the Starbucks cat paw coffee cups that were sold out in a matter of minutes, as well as book stores centered around coffee culture.